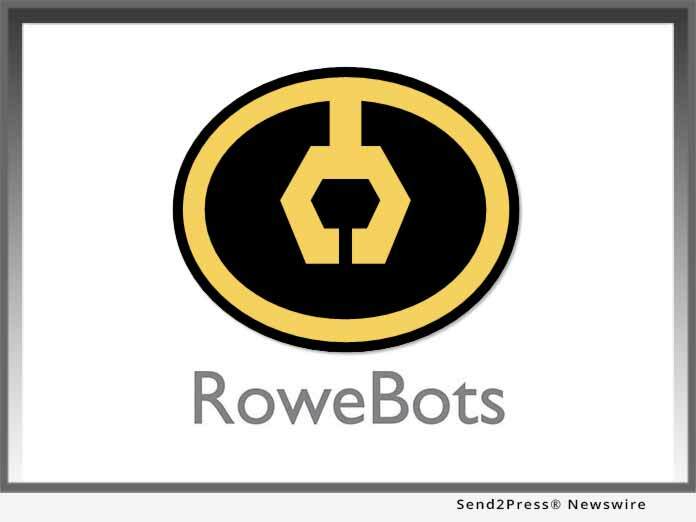 SANTA CLARA, Calif., Oct. 23, 2017 (SEND2PRESS NEWSWIRE) — Today, RoweBots, a leading embedded software company, announced its support of Platform Security Architecture (PSA) from Arm, and Arm® TrustZone® technology, which enable system-wide security. PSA from Arm provides significant software development cost reductions and enables security to be consistently designed-in for systems using Arm Cortex®-A and Cortex-M based-processors. By standardizing the methods and means to access cryptographic functions, extending the TrustZone partitioning model, standardizing APIs, and providing an open solution for any RTOS support including mechanisms to enable certifications, Arm has enabled the next level of security for microcontrollers. UnisonOS, with its variants for Arm-based MCUs and MPUs, is ideally suited as a platform to deliver PSA from Arm to OEM developers utilizing a broad set of hardware. With complete security functionality, UnisonOS’s industry leading security features will be further enhanced with better security layering and isolation. Rowebots’ UnisonOS and all of its derivatives—Unison MedicalOS, Unison VehicleOS, Unison WearableOS and Unison ConsumerOS will support PSA. The Unison RTOS utilizes the security features of the Armv8-M architecture and TrustZone as a primary security mechanism for IoT and embedded applications. TrustZone hardware is utilized by the security software elements in Rowebots’ UnisonOS and all of its derivatives depending on specific hardware implementations for medical, wearable, consumer, vehicle IoT, and general industrial markets. Unison RTOS offers heterogeneous multicore processing using thin wires or shared memory. These features along with the simple system architecture make Unison an ideal choice for secure systems. Additional security features include: TLS, IPSec / VPN, HTTPS, Secure wireless links, SFTP, SSH, Secure email, Secure bootloader with automatic fallback, SNMP v3, and Filtering—all with a tiny footprint. Unison RTOS comes with several packaging options to support various application areas including wearables, instrumentation, vehicles, home automation, industrial automation, and others. The overall system supports a broad set of peripherals including: comprehensive networking and security, file systems, SQL database, QT graphics, usb, camera and video, serial, Wi-Fi, Bluetooth, mesh networking, low-power wireless protocols, IoT protocols, 3G, 4G, and satellite networks. Trademarks: Unison® is a registered trademark of RoweBots Research Inc. All other product and company names are the trademarks of their respective owners. "Connected devices are being deployed at a rapid pace and to truly realize the benefits of these technologies, which have potentially life-changing implications, security can no longer be optional," said Paul Williamson, vice president and general manager, IoT Device IP, Arm.